Burlington--Dr. Omar Oyarzabal recently returned from Uzbekistan where he worked with two of that country's academic institutions as a Fulbright Program specialist. 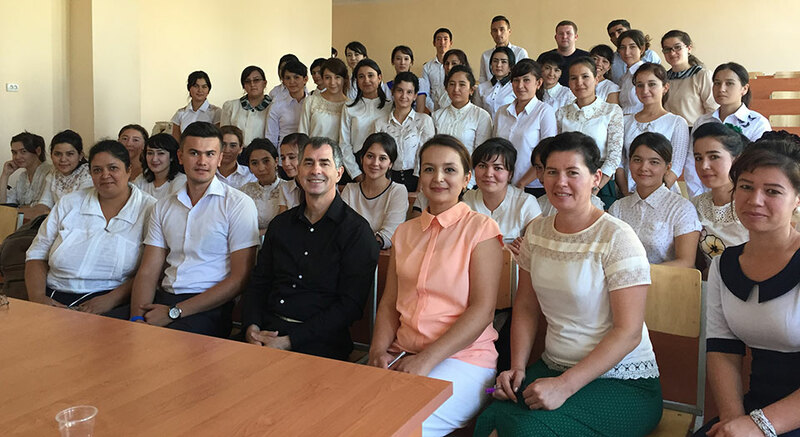 The University of Vermont (UVM) Extension food safety specialist was hosted by Ugench State University in Ugench and Khorezm Mamun Academy in Khiva for several weeks in September. He was selected as a Fulbright specialist by the Council for International Exchange of Scholars and the Institute of International Education for his expertise in microbiology. 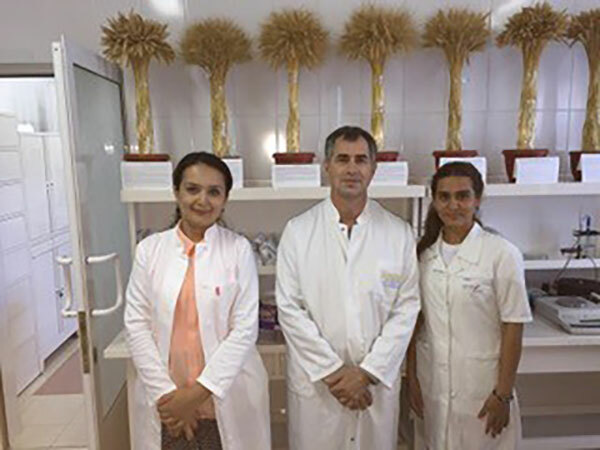 During his stay in Uzbekistan he presented lectures to students and provided training to faculty and staff on the identification of bacteria with DNA techniques, specifically polymerase chain reaction (PCR) assays. He also set up and provided instruction on the use of laboratory equipment to perform microbiology and PCR testing. Oyarzabal will continue to consult on short-term projects and help them find resources through technology transfer. In Vermont Oyarzabal works with state agencies to help commercial food processors implement food safety practices that comply with state and federal food safety laws. He also serves on the National Advisory Committee on Microbiological Criteria for Foods as a subject matter expert and is the founder and editor-in-chief of Microbial Risk Analysis, an interdisciplinary journal for risk analysis work applied microbial hazards.